While fashion editors vie to declare the upcoming season’s new “It Bag,” I live to spot the next up-and-coming wine region where consumers are bound to come up with value as well as drink fashionably. And this season, Portugal is the latest and greatest. Long overshadowed by its more famous, flamenco-ing neighbor to the East, Portugal is finally getting its well-deserved time in the limelight. You might be saying, Portugal has had our attention. But it’s only been in one specific category, and that’s the fortified wine of Port. But it’s just now that the dry red and white wines of Portugal are becoming mainstays on restaurant lists and at your local quality wine shop. It’s not surprising wine drinkers don’t currently maintain a stash of Portuguese wine. With its thousands of native grapes, some with different names depending on which region you’re in, Portugal isn’t too consumer-friendly for the connoisseur or the novice. As a primer, start your quest for dry reds by investigating the regions of Douro, Dao and Alentejo. 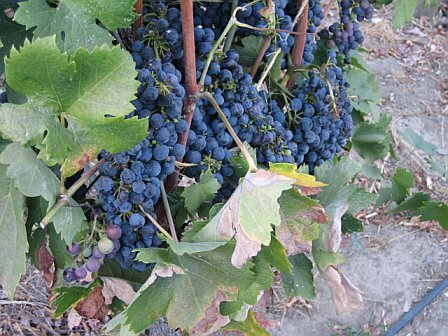 Most quality wines are blends of grapes including Touriga Nacional – the workhorse grape of fine Portuguese wines - Tinta Roriz and Aragonez- (aka Tempranillo), Touriga Franca, and Trincadeira. Each grape adds something unique to the blend with resulting wine that distinctly reflects a region’s unique makeup or terroir. Portuguese wine steps away from the often homogenous taste of some new world wines and reveals something distinctly its own. Its whites often mirror tastes familiar to us from Spain such as Alvarinho and Vinho Verde. Both tend toward freshness and minerality with racing acidity allows it to be a perfect complement to summer salads. 2007 Monte Velho Vinho Branco, Alentejo, $9 - Beautifully lemon in color and fresh in taste, this Roupeiro based wine has a well-balanced and clean finish. 2004 Roquette e Cazes Xisto, Douro,  $55 - A joint venture between the Lynch-Bages family and a historied Port family, this French oak aged, intense, rich wine shows it pedigree with port-like flavors and concentrated black fruit but balanced with slatey minerality.